Focus less on offers meant to get someone to use various mortgage services for the first time. Focus more on rewarding loyalty and referrals. Many people think loyalty as a concept is a thing of the past, but they’re only partially right. With so many options available to them, customers are no longer blindly loyal to one lender. But excellent customer service can and will grow into a much greater bond. Look for ways to inject your products and services with more value. That doesn’t always mean dollars and cents. To reduce churn and build loyalty, become your customers’ trusted advisor. Help them better understand what your company can help them achieve. Knowing you will provide the answers they need will keep them coming back. Increase your public relations efforts and reinforce the decision customers made to work with you in the first place. When a customer sees your organization mentioned in the media, it validates their choice of lender and acts as a referral reminder. Invite customers to share their success stories in case studies or video interviews. When people go on record endorsing your company, they tend to become much more loyal, and promote your services to others. Good customer service doesn’t end when the loan closes. Forward thinking lenders know the value of staying connected to customers and build marketing campaigns that provide excellent service over the long term. 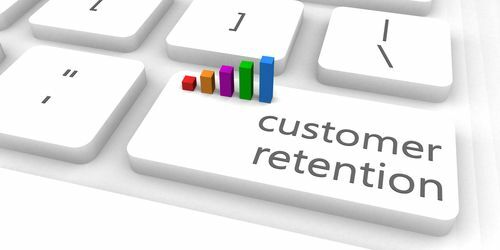 And the good news is, when you focus on customer retention, customer acquisition takes care of itself.